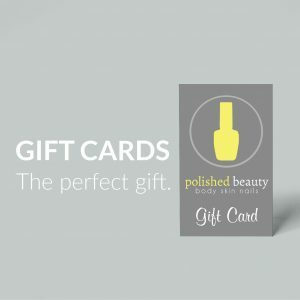 Our Gift Cards are available to be purchased in our online shop. It’s the perfect present for any occasion – especially Christmas. LED (light-emitting diode) therapy works to firm, tighten and rejuvenate the skin by actively promoting the production of collagen. Specifically formulated treatments utilise over 4000 powerful LED lights – red, yellow, green and blue – which are switched from colour to colour depending on the course of treatment required. These target a diverse range of common skin concerns including acne, pigmentation, rosacea, age spots, wrinkles, acne scarring and signs of ageing on the face, neck and décolletage. Further information on pricing and packages is available during your consultation in the salon. Gift Cards are non refundable (except where required under Australian Consumer Law). Gift Cards are valid for 3 years from the date of purchase. Gift Cards must be presented and surrended on arrival. No-shows will forfeit 100% of the value of the Gift Card. Unless otherwise stated all series and packages have a 6 month expiry date from the date of purchase. If you fail to provide more than 24 hours notice of cancellation to an appointment for a service from that series or package, you will forfeit that service. If you fail to attend an appointment (ie. No Show) for a service from that series or package you will forfeit that service.